There are lots of ways that Maine nonprofit groups and individuals are stepping up to help federal workers currently furloughed during the government shutdown — from food pantries helping families stay fed to credit unions offering low interest loans and other financial assistance to help folks pay their bills. Beyond that, individual businesses and organizations have also offered to help, in the form of free meals, free tickets to shows, free admission, free memberships and more while the shutdown lasts. Here at the BDN, we are offering any federal worker free digital access to the Bangor Daily News until the shutdown is over. Visit bangordailynews.com/customer-service for more information. A number of other places in eastern Maine that are offering deals and other freebies to those working without paychecks. We will update this story as we are notified of more offers. The Bangor Region Chamber of Commerce is also keeping a list. Moe’s Original BBQ in Bangor is offering any sandwich meal deal or platter for just $3 to furloughed workers with ID. Twin City Pizza in Brewer is offering $5 large one-topping pizzas to furloughed workers with ID. Angler’s Restaurants, seafood eateries with locations in Hampden, Newport and Searsport, is offering free meals to furloughed government workers with ID. 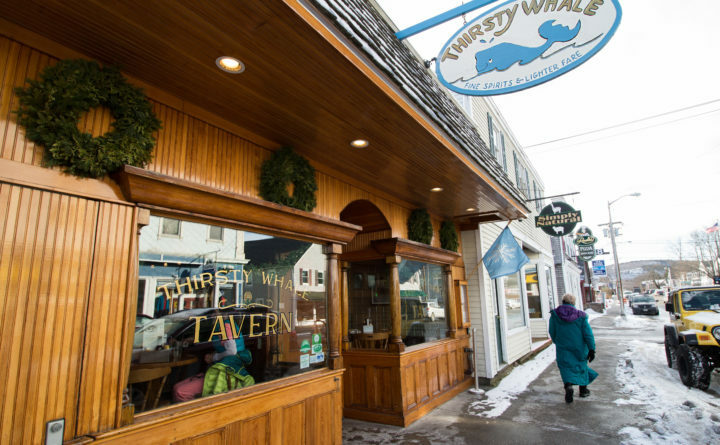 The Thirsty Whale in Bar Harbor is offering free meals and nonalcoholic beverages to all government workers with ID through Jan. 26. The Bangor Symphony Orchestra is offering free tickets to this Sunday’s concert, featuring works by Handel, Vanhal and Dvorak, and double bass soloist Edward Allman, for all furloughed workers with ID. The concert is at 3 p.m. Jan. 27 at the Collins Center for the Arts in Orono. The Harlem Globetrotters announced this week that furloughed workers get free tickets to any Globetrotters game — including the one coming up March 26 at the Cross Insurance Center in Bangor. The Penobscot Theatre Company is offering discounted tickets for its upcoming production, “Honky Tonk Laundry.” Furloughed workers will receive $5 off all tickets. The Criterion Theatre in Bar Harbor will offer free admission to furloughed workers to its 7 p.m. Jan. 24 screening of “Aquaman.” A government ID entitles the bearer to two tickets. 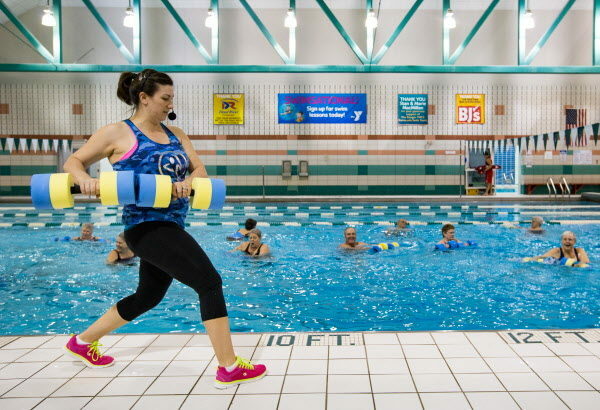 Jodi Veneziano of Hermon teaches Aqua Jog at the Bangor YMCAin this Jan. 15, 2016, file photo, demonstrating an exercise with water weights at the side of the pool. "The water has amazing benefits," she said. "You can actually do a whole lot more in the water than you think." During the shutdown, the Bangor Region YMCA is offering free memberships for furloughed workers. Orrington-based health and wellness business Twinsfeather is offering two weeks of free use of its infrared saunas, free foot and calf massages, and whole body vibration therapy, or four passes for its gyrokinesis fitness classes. Email the business at twinsfeather@gmail.com to arrange your visits. Longtime Bangor appliance dealer Dunnett this week offered free appliance service to any furloughed worker. Email parts@dunnettinc.com or call 207-947-4572 to schedule service, and bring an ID. Maine Trailer in Hampden will offer free state trailer inspections to all furloughed workers and will offer free labor for repairs, though workers need to purchase their owns parts.